See You at ASHG — Lunch Is on Us! We are looking forward to catching up with you at ASHG. You can stop by booth #915 to check out the latest and get a demo of DNAnexus, or join our lunch workshop on Wednesday to hear about a massive-scale genomic study that performed its analysis in our cloud environment. 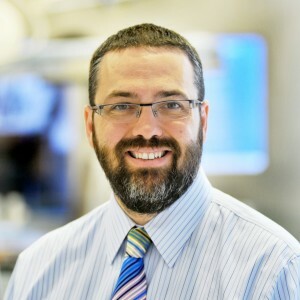 At the workshop, you’ll hear from Jeffrey Reid, assistant professor at the Baylor College of Medicine’s Human Genome Sequencing Center (HGSC), who will talk about his experience using our computing solution for the Cohorts for Heart and Aging Research in Genomic Epidemiology (CHARGE) Consortium, a group of more than 300 scientists. Dr. Reid will discuss the technical and practical challenges related to the analysis of over 14,000 genomes or exomes, such as meeting peak compute demand, enabling secure access for multiple researchers and sharing tools and results across the entire consortium. At the project’s peak, HGSC was able to spin up over 20,000 AWS cores on-demand in order to run the analysis pipeline of the CHARGE data. During this period, HGSC was running one of the largest genomics analysis clusters in the world! We’ll also be hosting a CHARGE Q&A Hour at our booth (#915) on Thursday, October 24th, from 11am to noon. Stop by if you’d like to learn more about the CHARGE project; folks from the HGSC and DNAnexus will be on hand to answer any questions.